Hindi Lyrics 4 U: Lyrics Of "Nahi Nahi" From Latest Movie - Fever (2016). Lyrics Of "Nahi Nahi" From Latest Movie - Fever (2016). 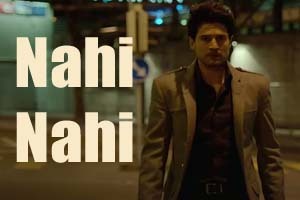 A rock song sung by Alisha Batth, Alisha Pais starring Rajeev Khandelwal, Gauhar Khan, Gemma Atkinson and Caterina Murino. Lyrics in Hindi (Unicode) of "नहीं नहीं"